Shortly after receiving the Canon T5i for Christmas, I went out and did a series of test shots which quickly filled my smaller memory card with 18 megapixel RAW files. 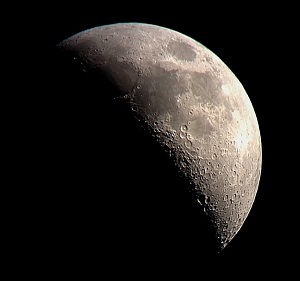 I was really pleased with the results, but only got 42 light frames that night. Recently, I was able to give M42 an honest attempt using the fixed tripod stacking method and my new camera with a larger memory card. I'm still waiting for nicer weather to break out my motor driven EQ mount. I'm a little intimidated by it, and I don't want to fumble with it for the first time in freezing temperatures. So fixed tripod stacking is still the name of the game! It came out a little bright. That's the trade off I guess, I like how you can see a lot of the very faint nebulosity - making M42 look as big as I've seen it. On the other hand, the interior is over exposed and sort of washed out. I don't do enough of these to really work on my post-processing skills. All in due time! Hi, I was just wondering why you don't seem to saturate your images? It took some time and a new camera, but I was somewhat successful! I haven't been able to get anything quite as stunning as your captures at 300mm, but I'm quite happy with the I've attached at 75mm. 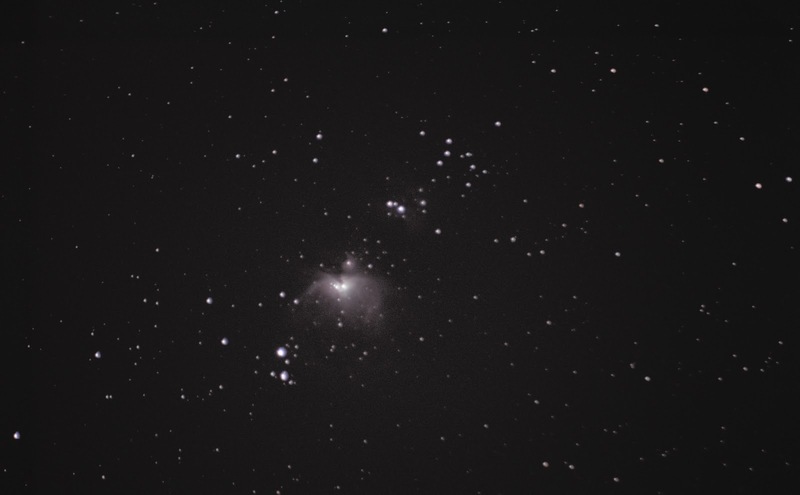 I've also attached my best M42 and a shot of Comet Lovejoy. I couldn't tell you how many lights, darks or bias I used for each, I'm just too anxious to get them processed! Those are legit! Nice work! Do you have a blog that you post your photos to?? I had been inspired by your blog and tried to retrospectively document my journey on my tumblr, but haven't yet got caught up to the present. Cool I'll link you in my sidebar. Are you going to tag all your astro photos with 'astro' so that is the best link to use? Thank you! I will be using that tag when I get round to posting some more, which I'm going to have to do soon it seems!